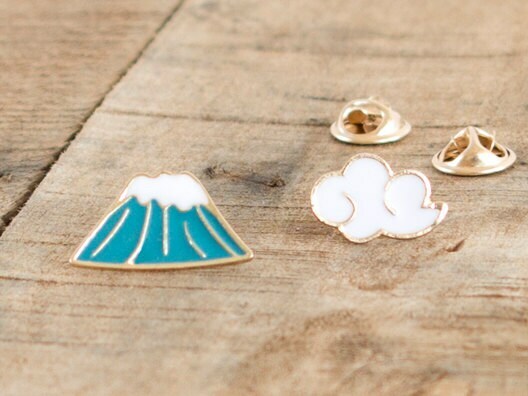 Funky mountain jewelry mountain brooch pin with cloud. 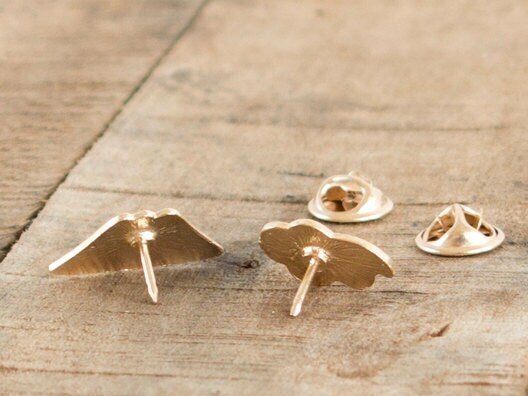 This rock climbing jewelry is one of our mountain brooches suggestion for men and women. The main colors are blue and white. You can experiment with it, when you add or remove the tiny chain and wear it in many different ways. 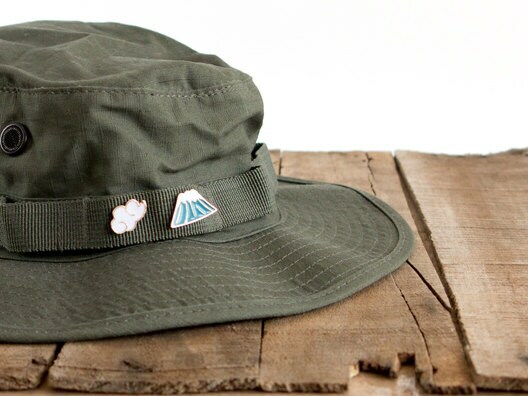 You can attach the mountain badge to your fleece, on a cardigan, on a rucksack or bag, or just wear it as a snowy mountain collar pin. 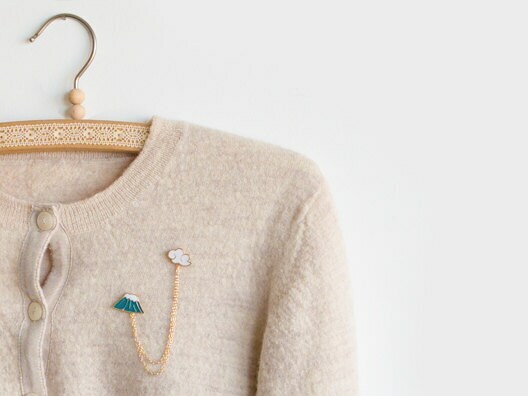 The height of the rock mountain brooch is 1.3 cm (1/2"). The width is 2.2 cm (7/8"). 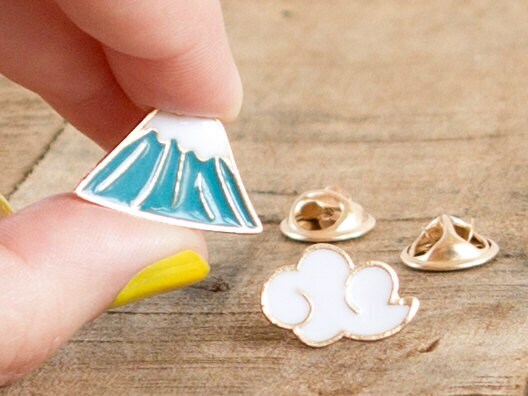 Cute cloud mountain jewelry cloud brooch pin: 1.8 cm (11/16") wide, 1.2 cm (1/2") in the highest part. The length of the connecting chain in gold color (that can be removed very easy, without need of any pliers) is 12 cm (4 3/4"). This one of mountain brooches is a perfect in rock climbing jewelry gifts for a rock climber, mountaineer, trekker, or just a nature lover.